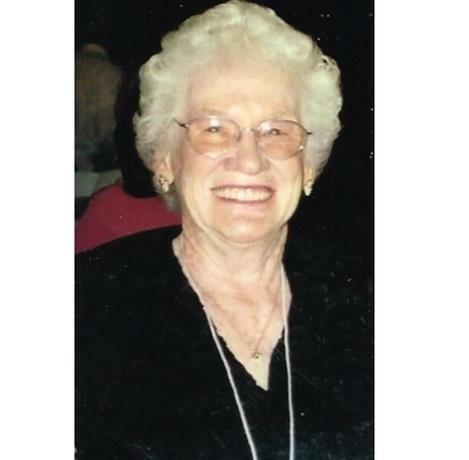 Pearl Koehler Pearson Taylor of Sunnyside, WA., passed away October 26, 2018. She was born March 24, 1920; one of 9 children born to William and Caroline (Richtermeier) Koehler in Eudora, KS. She attended elementary and high school, graduating from De Soto Rural High School in De Soto, KS. She attended Kansas City Business College and worked at Hallmark Cards Company and Remington Arms near Independence, MO. She entered the U.S. Coast Guard Women's Reserve in 1944. Her duty included training at Palm Beach, FL and assignments included Norfolk, Va and Ketchikan, AK where she was discharged in 1946. She was employed as a civilian by the US Coast Guard in Ketchikan, where she met and married David Gene Pearson, a fellow Coast Guardsman, on March 29, 1947. Pearl moved with her husband to Centralia, WA, where they lived at Galvin, WA for 7 years. Then with her husband and 3 children they moved to Granger, WA where they built their home; had 2 more children and spent 40 years. She was employed at Stokley Van Camp in Zillah WA and Del Monte in Toppenish WA for several years. Gene and Pearl had five children: Kathy Gerla (Sam) of Ozark MO; Gary Pearson of Toppenish WA; Dave Pearson (Diane) of Granger WA; Jan Golob (Paul) of Granger WA and Terry Pearson (Mari) of White Swan WA. Gene passed away November 4, 1994. Pearl married Kenneth Taylor December 14, 1996. In March 1997 they moved to Sunnyside WA. Ken died August 17, 2013. Pearl was an active member of Calvary Lutheran Church in Sunnyside, WA since 1954 and was involved in the LWML both locally and zone, and the altar society. She was a member of preschool PTA, PTA and a Cub Scout den mother. Pearl and Gene believed in taking their kids to church-not sending them. Pearl was a wonderful mother and grandma to all her family and loved having them over to their little Granger farm. She was never too busy for her family and loved spending time with them. The grand-kids spent many hours learning to swim and playing in Grandma & Grandpa's pool. There were always projects to be done and afterward there were usually grilled cheese sandwiches or milk toast on Sunday evenings and homemade donuts on Halloween. Pearl has lived at Just Like Home in Sunnyside, WA for several years where she received great care. Pearl is survived by her 5 children, 16 grandchildren, 44 great-grandchildren and 8 great-great grandchildren. She is also survived by a sister, Martha Ralston of Overland Park, KS. She was preceded in death by both husbands, seven of eight siblings and twin great-granddaughters. Services will be held at Calvary Lutheran Church, 11th & Harrison Sunnyside, WA., Tuesday October 30th, 2018 at 11 am with Rev. Kraig Gilkey officiating. In Lieu of flowers, memorials may be made to the Granger Alumni Association or Heartlinks Hospice. Those wishing to sign Pearl's online memorial book may do so at www.funeralhomesmith. com, Smith Funeral Homes in care of arrangements.